Individuals in disadvantaged census tracts who make up to four times the federal poverty level will be able to trade in their pre-1994 models and receive as much as $12,000 toward the cost of a new or used fuel-efficient vehicle. A $4.8 million pilot, expected to replace about 600 cars, is currently rolling out in the San Joaquin Valley and South Coast air districts. The Air Resources Board plans to expand the program, which is funded by cap-and-trade auction revenue, by about 10 times next year. Whereas cap-and-trade started with the best of intentions, it really has turned into a joke of a program. It provides no dedicated funding for bike projects (and only minimal support for transit services), and instead is being used to subsidize private car purchases. Even viewed as an anti-poverty measure, this is a bad idea. Car ownership is really costly, and it is a mistake to encourage low-income families to hang onto cars when there are much lower cost transportation alternatives. The ACLU has filed a Freedom of Information Act request, to determine the scope of the problem. Motorcycle fatalities for 2014 remained stubbornly high, a new report from the Governors Highway Safety Association said. Though motorcycles account for only 3 percent of vehicles on the road, their riders and passengers account for 14 percent of all U.S. motor vehicle-related deaths. Estimated total fatalities for 2014 will total 4,584, GHSA said, when the data set is complete. That’s a 1.8 percent drop from 2013, when 4,668 people died in motorcycle incidents. But that fatality rate is double the number of deaths tabulated during the late 1990s, GHSA said — and are more stark because automobile traffic deaths have dropped, due to improved auto safety features. Motorcycle deaths accounted for only 5 percent of all U.S. motor vehicle deaths in 1997, but represented 14 percent of all motor vehicle deaths in 2013. Only 19 of the 50 states have universal helmet laws, most of the remainders requiring helmets only for riders under 18 or in some cases 21. In those states, the GHSA report stated, helmet use is typically below 50 percent. In fact, mandatory motorcycle helmet laws actually have the opposite effect — causing an increase in the fatality rate. 1. Post-tax energy subsidies are dramatically higher than previously estimated—$4.9 trillion (6.5 percent of global GDP) in 2013, and projected to reach $5.3 trillion (6.5 percent of global GDP) in 2015. 2. Post-tax subsidies are large and pervasive in both advanced and developing economies and among oil-producing and non-oil-producing countries alike. But these subsidies are especially large (about 13–18 percent) relative to GDP in Emerging and Developing Asia, the Middle East, North Africa, and Pakistan (MENAP), and the Commonwealth of Independent States (CIS). 3. Among different energy products, coal accounts for the biggest subsidies, given its high environmental damage and because (unlike for road fuels) no country imposes meaningful excises on its consumption. 4. Most energy subsidies arise from the failure to adequately charge for the cost of domestic environmental damage—only about one-quarter of the total is from climate change—so unilateral reform of energy subsidies is mostly in countries’ own interests, although global coordination could strengthen such efforts. 5. The fiscal, environmental, and welfare impacts of energy subsidy reform are potentially enormous. Eliminating post-tax subsidies in 2015 could raise government revenue by $2.9 trillion (3.6 percent of global GDP), cut global CO2 emissions by more than 20 percent, and cut pre-mature air pollution deaths by more than half. After allowing for the higher energy costs faced by consumers, this action would raise global economic welfare by $1.8 trillion (2.2 percent of global GDP). Correcting the price imbalance would improve the economy, improve the environment, and improve public health. A win-win-win proposition. 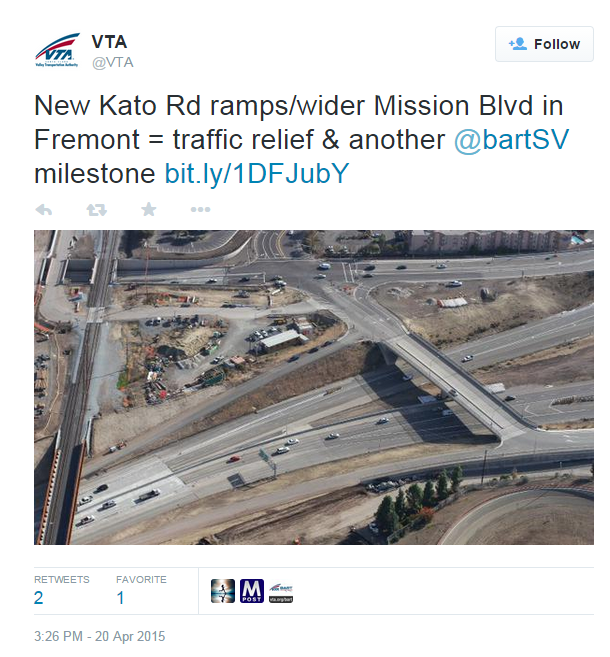 This monster freeway interchange lies just south of the new Warm Springs BART station. The entire station area has been surrounded by a moat of highways and freeway interchanges. Even though there have been various bike plans for the south Fremont area, none of it has been built (unless you count riding on the shoulder of a high speed arterial). So good luck using the new BART station to generate walkable, bikeable TOD development that was promised. And anyone dumb enough to try biking through there will suffer the consequences. This legislative session has already seen bills that would mandate helmets and orange safety vests. 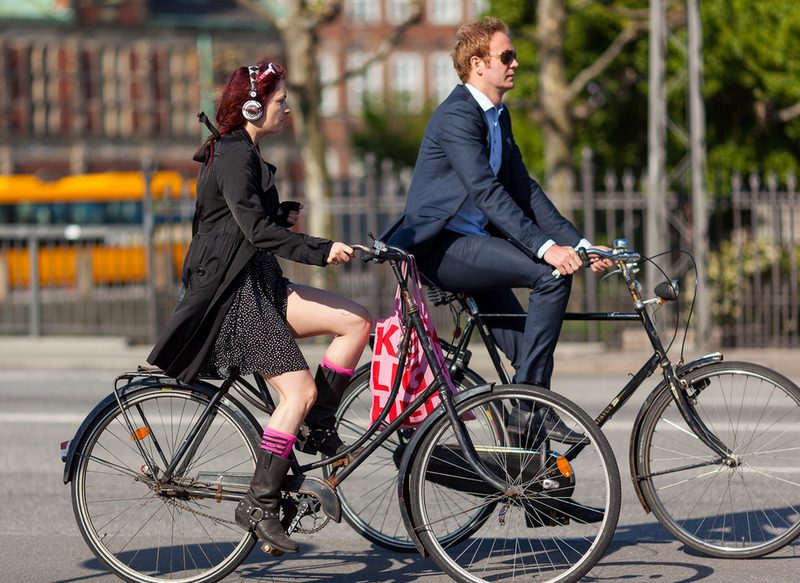 A ban on headphones can also be added to the list: SB 491 would prohibit the use of ear buds while riding a bicycle. The Legislative Analyst summary describes this change as “non-controversial” because existing law already prohibits the use of full ear-covering headsets. Well, one wonders whether the analyst gets out much. Whereas there are hardly any cyclists out there riding around with studio headphones, iPhone-style ear buds are extremely popular. This bill would criminalize a very common behavior among cyclists. Like the helmet legislation, an ear bud ban sounds sounds great in theory (no pun intended), but lacks any studies or data to back it up. It is unlikely to improve safety, or even change cyclist behavior. But it will almost certainly serve as a pretext for police to harass minorities. And given the way “distracted walking” has become a thing, then it is not inconceivable that pedestrians will one day get the same treatment. Filmed entirely in the Budapest Metro, this fictional(?) story follows the surreal exploits of a group of fare inspectors. Their leader is Bulcsú (Sándor Csányi), for whom the underground Metro is a kind of purgatory. He lives, sleeps, and works in the underground 24 hours a day. He is starting to go crazy, perhaps because everyone else around him is nuts too.